During the twentieth century, medicine has been radically transformed and powerfully transformative. In 1900, western medicine was important to philanthropy and public health, but it was marginal to the state, the industrial economy and the welfare of most individuals. It is now central to these aspects of life. Our prospects seem increasingly dependent on the progress of bio-medical sciences and genetic technologies which promise to reshape future generations. 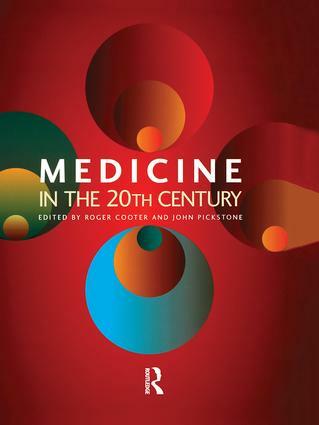 The editors of Medicine in the Twentieth Century have commissioned over forty authoritative essays, written by historical specialists but intended for general audiences. Some concentrate on the political economy of medicine and health as it changed from period to period and varied between countries, others focus on understandings of the body, and a third set of essays explores transformations in some of the theatres of medicine and the changing experiences of different categories of practitioners and patients. 'Was the twentieth century really the 'golden age' of medicine? The difficulty is that the field is too vast for any individual to answer this question - and until now, no comprehensive treatment of the era has been available. Medicine in the Twentieth Century triumphantly overcomes this dilemma. Its wide-ranging coverage by over 40 world experts is not limited to western medicine, but includes consideration of the Third World, China, and the Soviet Union. No serious student of the era can afford to be without it.' - Stephen Lock, MD, Professor of Medicine and Editor of the British Medical Journal 1975-1991.